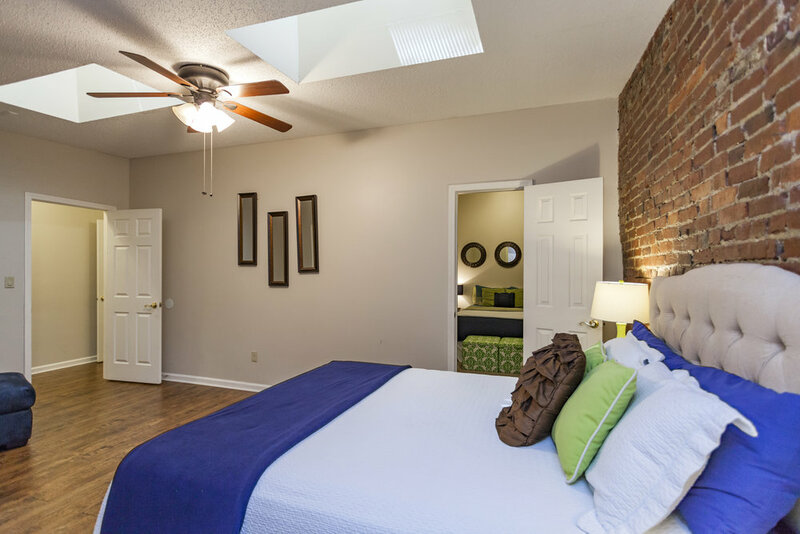 Comfortable with room for up to 10 guests! 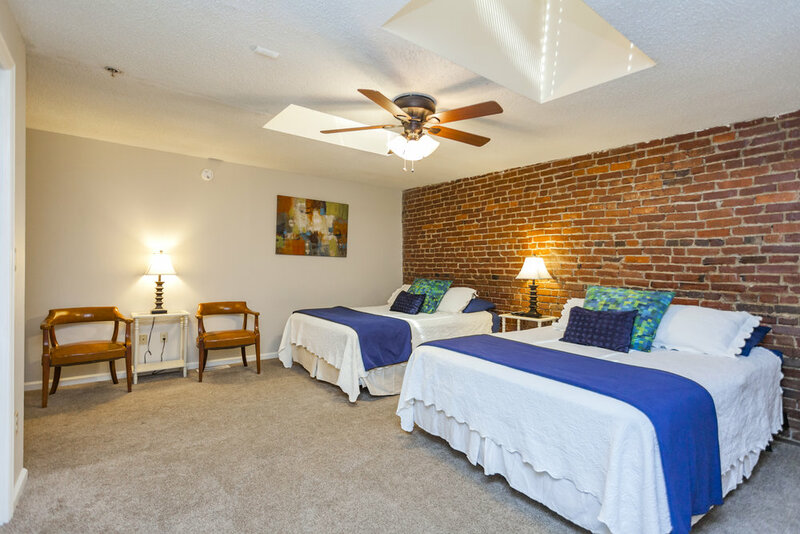 This 3-BR, 2.5-bath apartment located on 2nd Avenue features all the amenities of home. Big on charm with new carpet and flooring, fresh paint, a new super cool air conditioner and full kitchen. 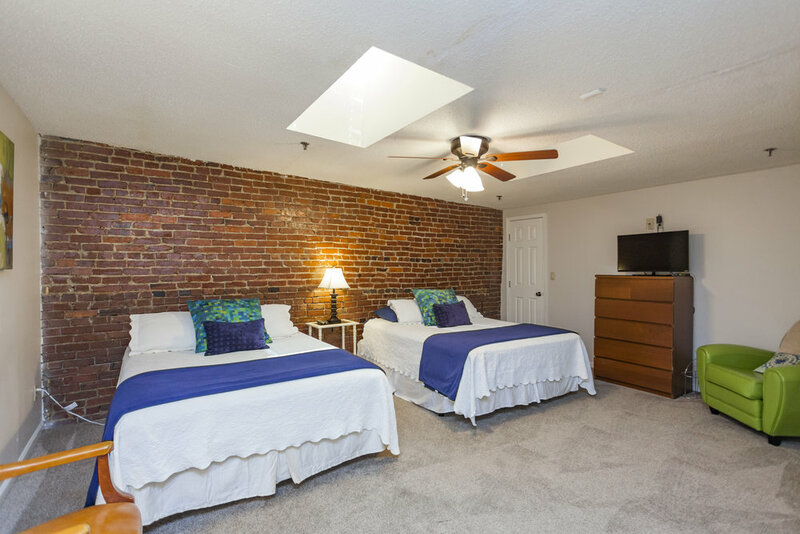 Upstairs, the three bedrooms have a total of four queen beds and there are two full baths and a washer/dryer. The downstairs living room has a half-bath, Smart TV, a comfortable queen sleeper sofa and several comfortable chairs, plus an eating area. The kitchen has a stove/oven, full-size fridge, microwave, dishwasher and coffee maker. Please note: This is an interior apartment with no windows, but you won’t mind. It’s bright and cheerful for you and your friends and family. We had a blast in Nashville and the place was awesome. 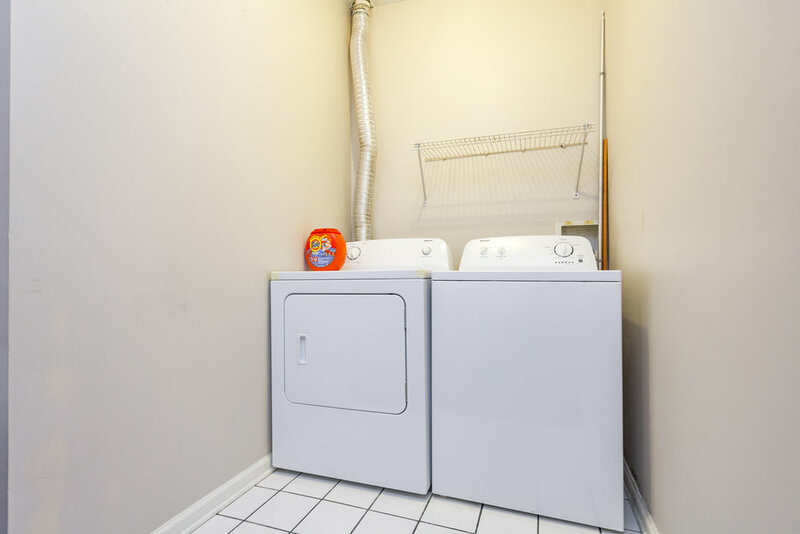 Nice and clean with plenty of room for everyone. Can't wait to come back! We stayed at Betsy's place to celebrate a Bachelorette party and had a great experience. The beds were very comfortable, and the apartment had everything we needed. We were located in the middle of everything downtown, and were easily able to walk to Broadway. We will definitely be staying here on any future visits. This was such a great spacious place in a a perfect downtown location. Six ladies stayed here for a couple of nights at the end of June. It was convenient to walk to shops, bars, and.restaurants downtown, and we had no issues getting an uber to take us to the Gulch. We had plenty of beds and having 2 1/2 baths was plenty for all us to get ready to go out. We also had plenty of towels, and the kitchen had everything we needed.